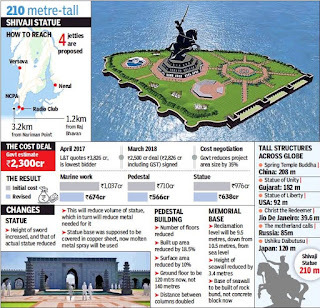 The size of the manmade isle for the mid-sea Shivaji memorial has been reduced by 35% by the government while renegotiating the cost of the project with the lowest bidder. This means the memorial will be able to accommodate only up to 3,000 people per hour, and not 6,500 as estimated earlier, bringing down the estimated daily footfall to 10,000 from 25,000. Similarly, the height of the seawall has also been reduced and the concrete block portion that was to form the base of the seawall has been replaced by a rock bund. Besides the amphitheatre, entire facade lighting, baggage scanner and automatic fare collection system have deleted from the scope of the lowest bidder. Even installation of a standby transformer has been deferred. Deferring furniture and external landscape for later procurement will lead to cost escalation in future. 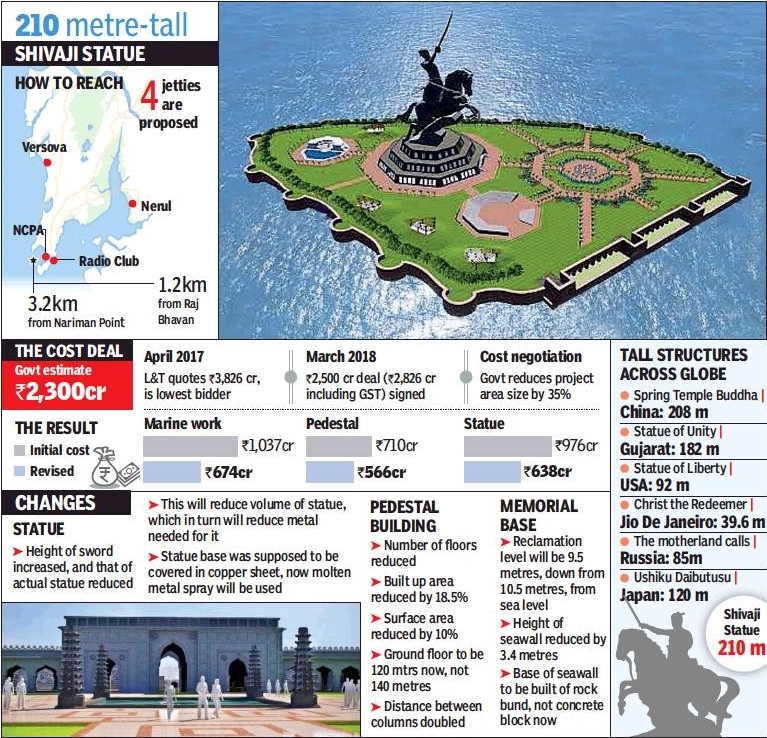 Massive modifications have also been planned for the Shivaji statue, pegged to be world’s tallest when it is unveiled in three years. The height of the sword has been increased and that of the actual statue reduced. With the reduction in volume of the statue, the quantity of metal needed for it will also go down. The lowest bidder, L&T, had Rs.976 crore for the civil works and and structure of the statue, which has gone down to Rs.638 crore after negotiations. Besides, the downsizing of the project also violates the government guidelines for tenders. According to central vigilance commission’s guidelines, government can renegotiate the price of a project after the bidding process, but cannot reduce the scope of work . 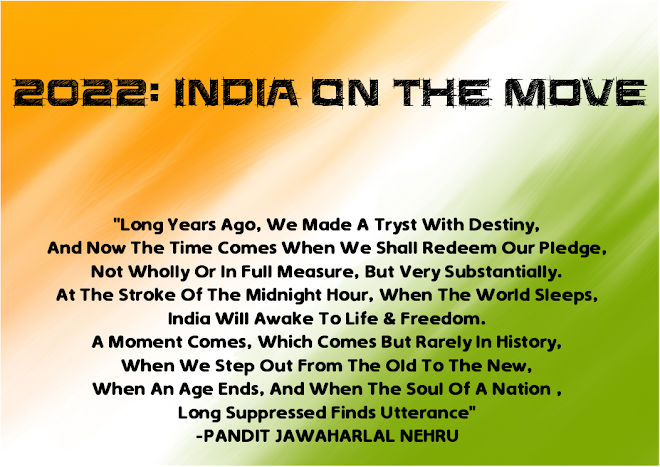 Many of the elements that were not important have been deferred for the ‘Phase-II’ of the project. The statue is the centre of the project and no changes have been made to that. 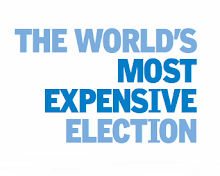 Everything else has been tweaked to save money.